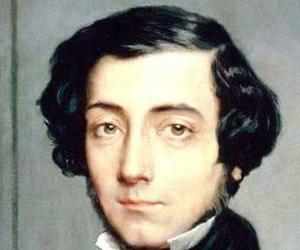 Alexis de Tocqueville was a French political thinker famous for his works on sociology and political science. This biography of Alexis de Tocqueville provides detailed information about his childhood, life, achievements, works & timeline. Alexis de Tocqueville was a French political theorist and historian who went to the U.S. to study the American political model and published the classic ‘Democracy in America’ in two volumes. 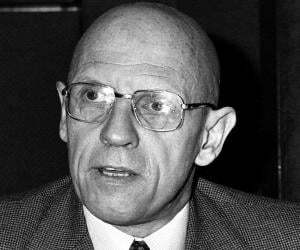 His works are regarded amongst the most influential texts produced on sociology and political science. He considered the democratic political system of America as the ideal society and desired to bring about changes on similar grounds in the French political system. His writings dealt with issues like class structure, living standards, political systems, religion, racism, governments, and judiciary. The 19th century text is considered so significant that it is a recommended textbook for political science courses in colleges even today. He was actively involved in French politics for several years starting from the July monarchy, and continued till after the 1848 Revolution that led to the creation of the French Second Republic. While serving in the parliament, he supported free trade and was in favour of abolitionism. He toured England and published ‘Memoir on Pauperism’ upon his return. He also traveled to Algeria to study the political system prevalent there and observed that the British model of indirect rule was superior to the French model of colonization. He was considered a classical liberal. He was born in France into an aristocratic family. His parents were Herve de Tocqueville and Louise Madeleine de Rosanbo. He father served as an Officer of the Constitutional Guard of King Louis XVI. As a child he was educated by a home tutor, and later attended Lycee Fabert in Metz. He studied rhetoric and philosophy in college. From 1825 to 1827, he studied law in Paris. He acquired an unpaid apprenticeship in 1827 at the court of law in Versailles. 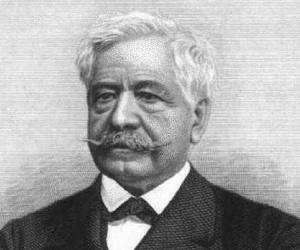 In 1828, he met Gustave de Beaumont who was the deputy public prosecutor at the court of Versailles. Both the men shared a common interest in history and took Francois-Pierre-Guillaume Guizot's course in the history of civilization in France. The July Monarchy under Louis Philippe I began in 1830. He was selected as deputy of the Manche department in 1831 and held this post till 1851. Tocqueville and Beaumont had contemplated visiting the U.S. They obtained permission from the monarchy to study the penal system in America, and began their travel in 1831. They visited some prisons in America and made observations about the political and judicial systems prevalent there. They considered America as the ideal society and hoped to gain in-depth knowledge about the functioning of the American social system. On returning to France in 1832, they began working on their first book together, ‘On the Penitentiary System in the United States and its Application in France’. The book was published in 1833. Tocqueville worked on the first volume of ‘Democracy in America’ for two years and the book was finally published in 1835. He analyzed the religious, economic and political aspects of the American society in the book. He met Henry Reeve in 1835 who would later become the translator of his works. Along with Beaumont, he visited England and Ireland, and later published ‘Memoir on Pauperism’. The second volume of the highly acclaimed ‘Democracy in America’ was published in 1840. The political economist, John Stuart Mill wrote a very favourable review of the book in the ‘Edinburgh Review’. He visited Algeria in 1841 with his brother and friend Beaumont. 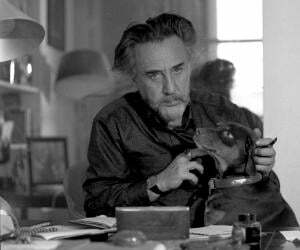 He wrote ‘Travail sur l’Algerie’, comparing the French Model of colonization with the British mode of indirect rule which he felt was better. He was elected the general counsellor of the Manche in 1842, and served as the president of the department’s conseil general from 1849 till 1851. In 1848, the July Monarchy was overthrown and the French Second Republic was established. He was elected to the Constituent Assembly of 1848 and made a member of the committee charged with drafting the new constitution. He was elected to the new legislative Assembly in 1849 and was made minister of foreign affairs. However he was dismissed from this position within months. This disappointment affected his physical health. He was reelected the president of the departmental council of la Manche in 1850. Louis Napoleon seized the control of the government in a coup in 1851. 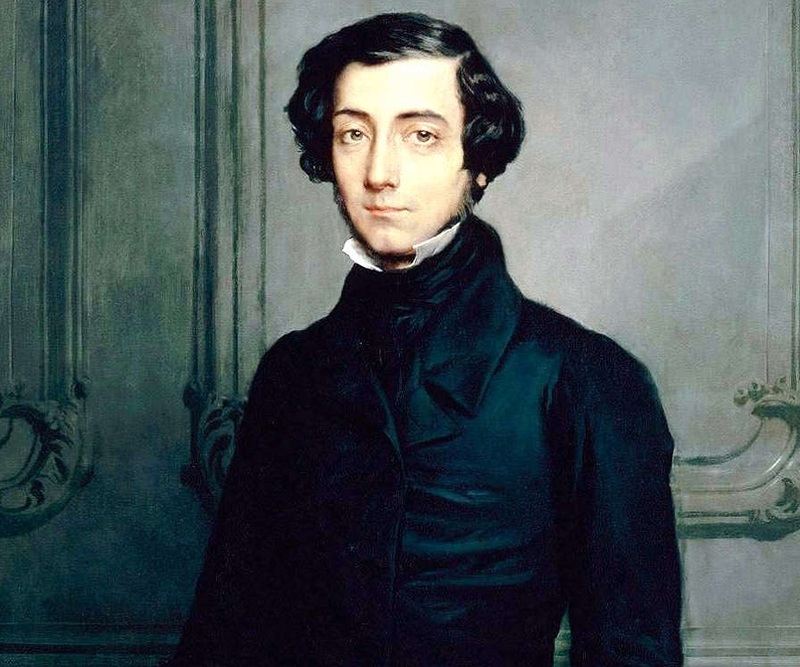 Tocqueville published an anonymous article condemning the coup in London Times. He along with several others was briefly imprisoned for resisting the coup and stripped of all the political offices they held. With his political career behind him, he began focusing all his energy on writing ‘The Old Regime and the Revolution’ which was published in 1856. He is best known for his writings on political science, especially ‘Democracy in America’ which was published in two volumes. The work is regarded as one of the most comprehensive books ever written about the U.S. and is a prescribed textbook for political science courses in various colleges. 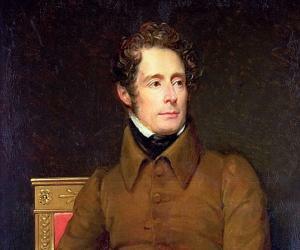 He was awarded the Montyon Prize by the French Academy in 1835 for the first volume of his book ‘Democracy in America’. He met Mary Motley, an English woman brought up in France, in 1828. After overcoming considerable parental opposition from his side, he married her in 1835. He suffered from frequent bouts of tuberculosis and finally succumbed to the disease in 1859, aged 53. The Independent Institute, California, has an award named in the honour of this brilliant political thinker. Peter Carey’s 2009 novel ‘Parrot and Olivier in America’ is inspired by his life.